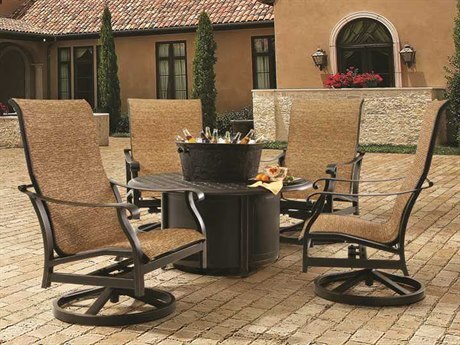 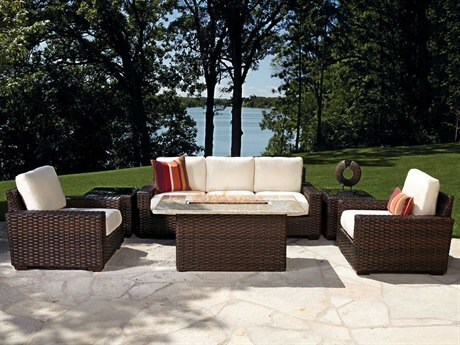 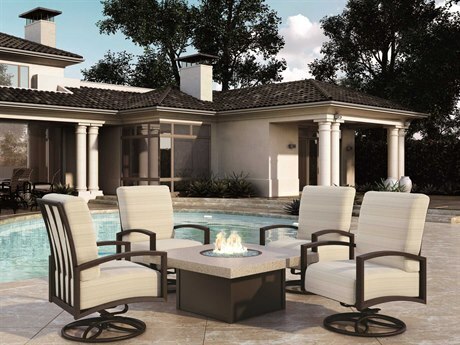 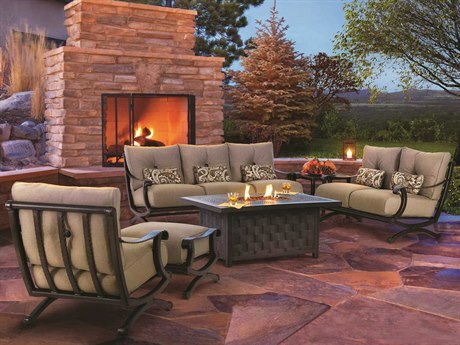 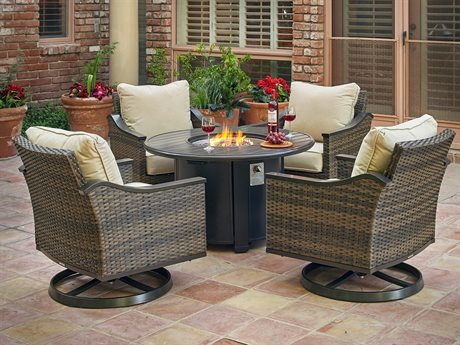 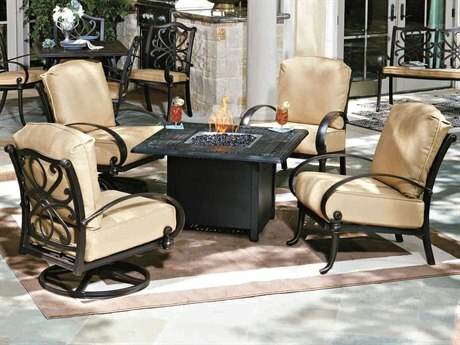 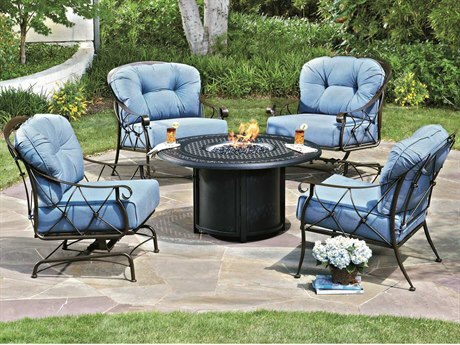 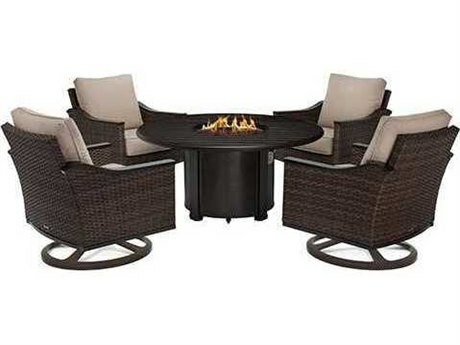 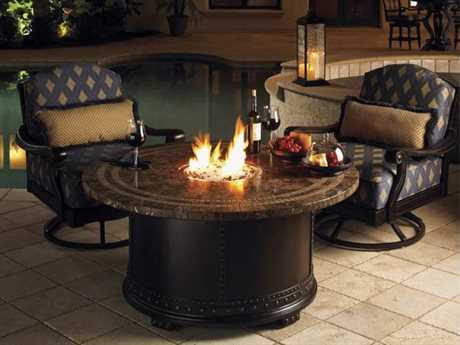 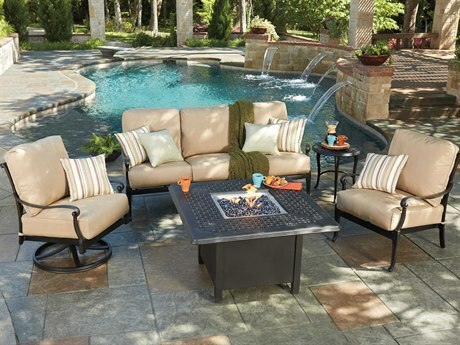 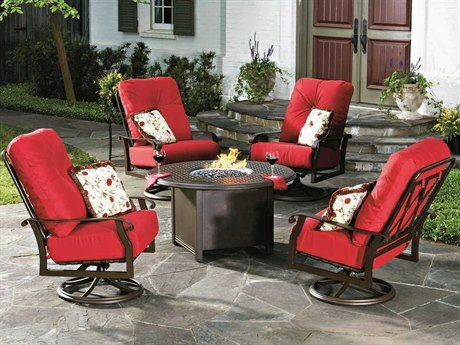 Fire pit sets are matching fire pit table and seating bundles. 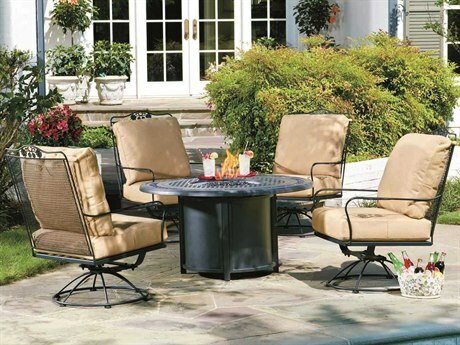 Seating options available include dining chairs, lounge chairs, sectionals, and combinations of various types to seat anywhere between one and eight or more people comfortably. 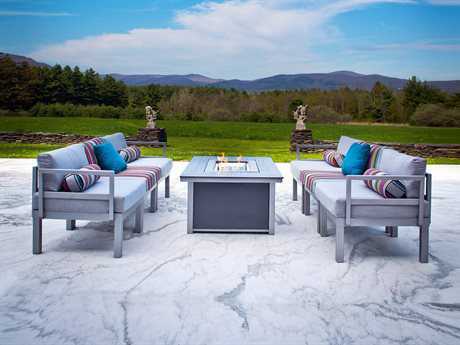 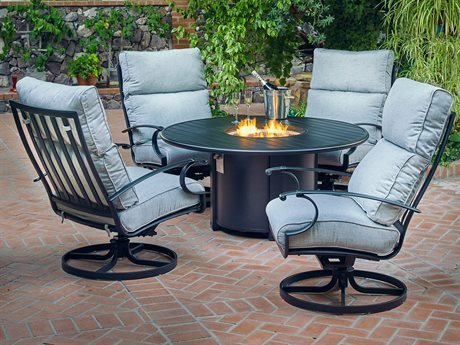 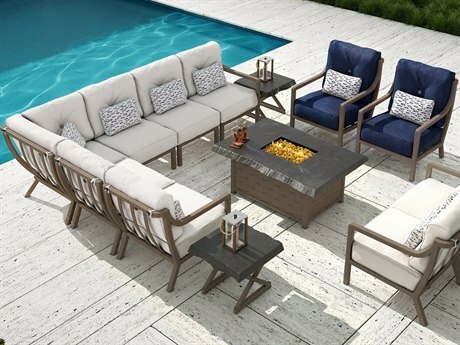 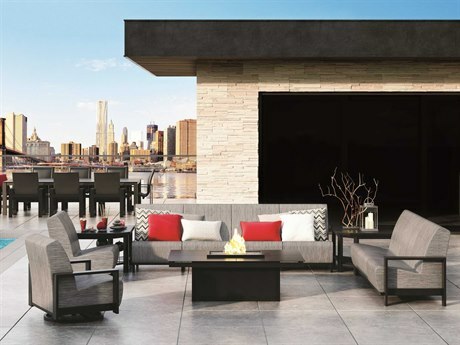 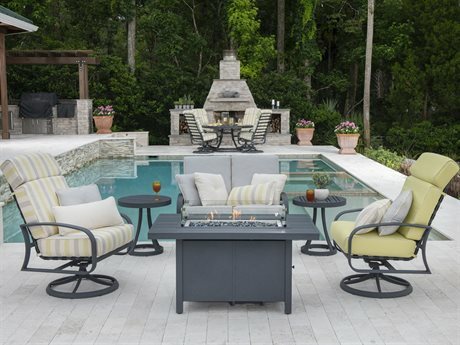 Casual outdoor fire pit sets bring comfort and lounging to new levels with your choice of sling and cushion chairs made from aluminum, cast aluminum, wicker, wrought iron, steel, or recycled plastic. 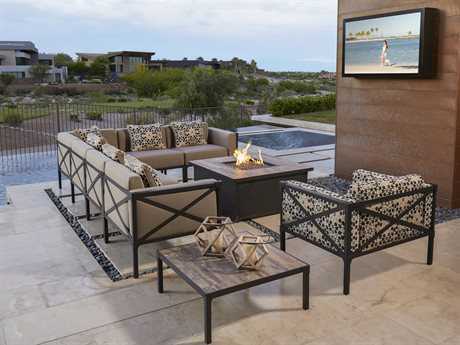 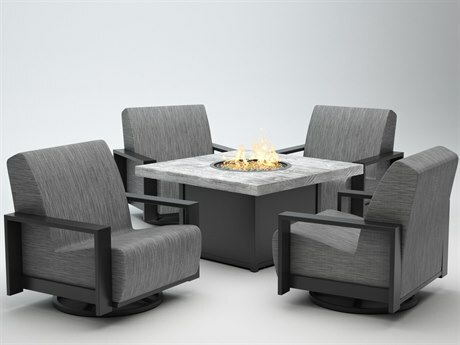 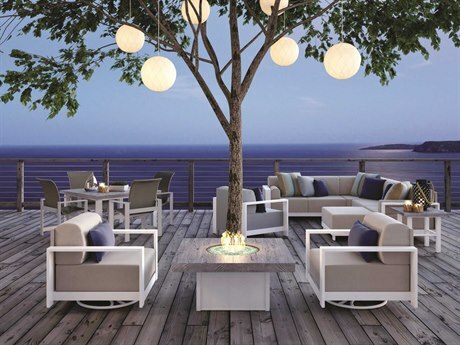 Modern-style fire pit sets fit a sleek patio aesthetic with their elegant square cushioned seats and fire pit tables. 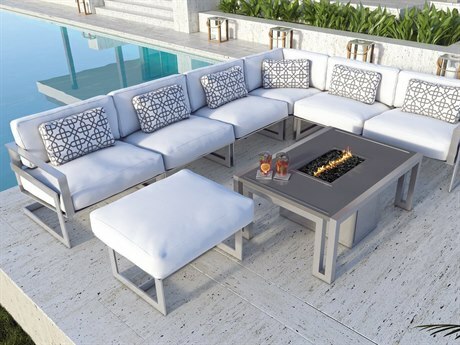 Pieces included in each fire pit set range from chairs and a fire pit table only to chaise lounges, ottomans, and side tables. 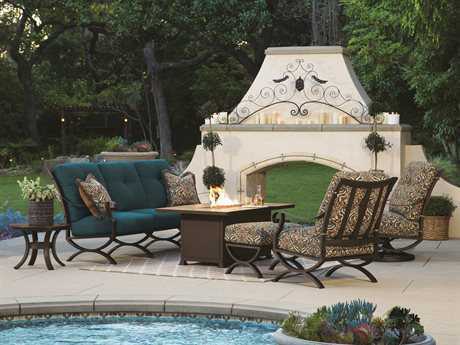 Outdoor fire pit sets have the built-in bonus of taking the struggle out of creating a cohesive design for your patio. 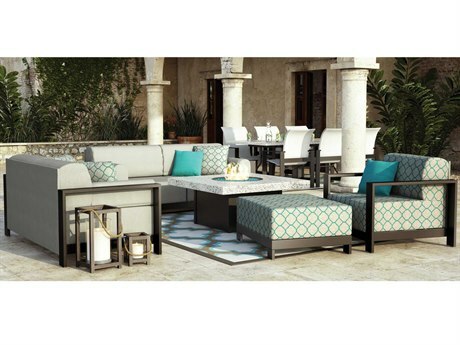 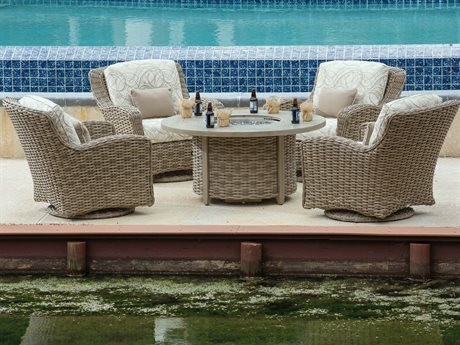 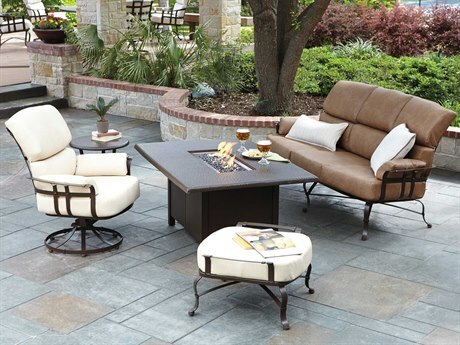 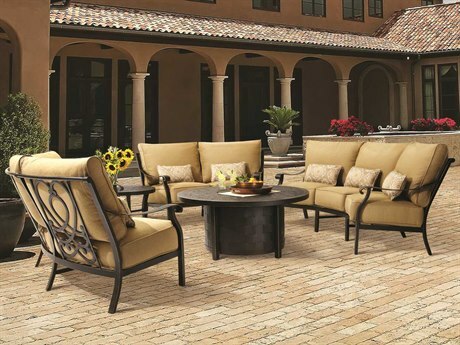 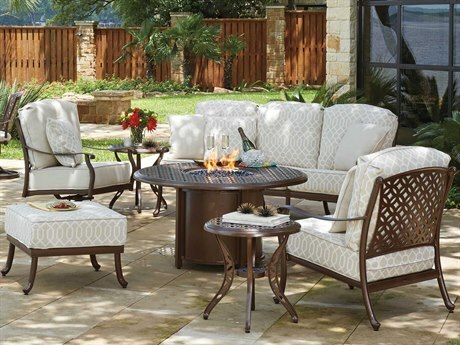 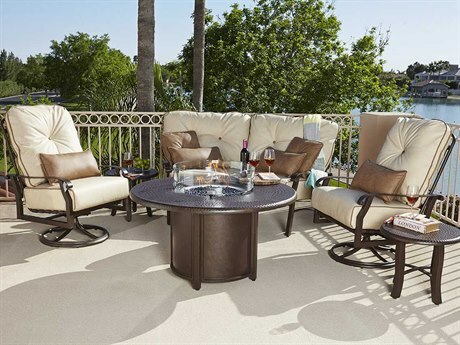 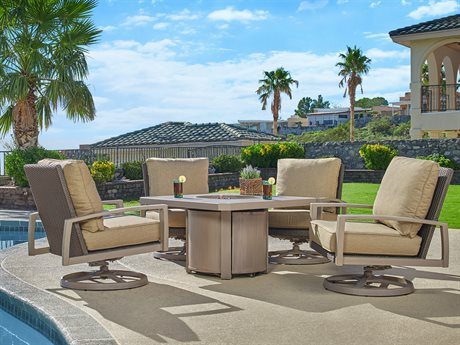 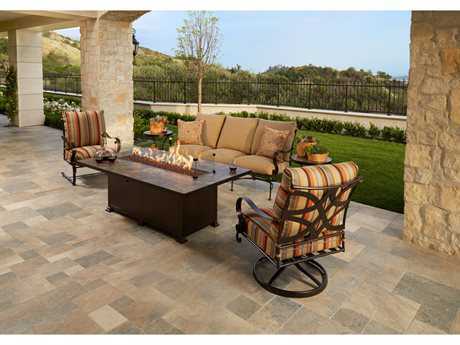 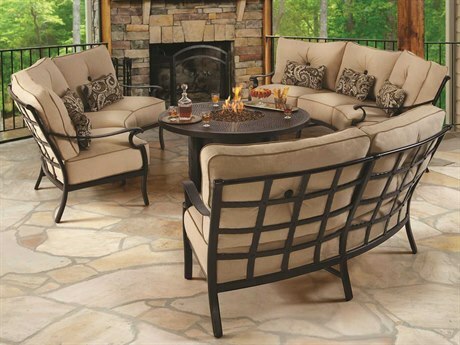 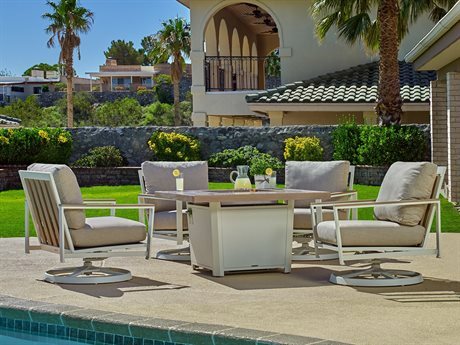 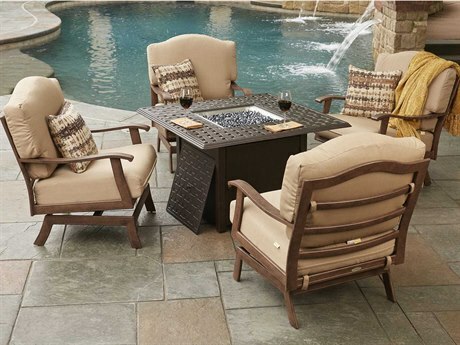 The work is done for you and furnishing your patio has never been easier. 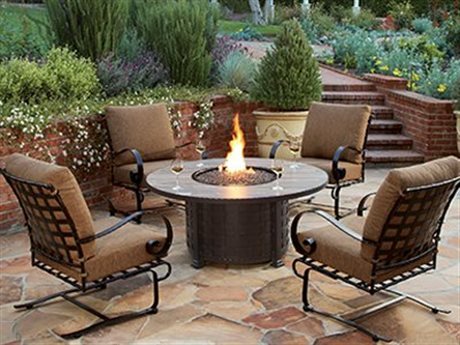 Fire pits are perfect for warming up an outdoor patio area and can double as tables for you and your guests to place food or drinks while reclining in the matching lounge chairs. 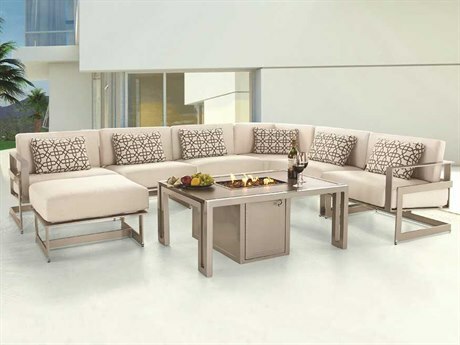 If you need extra surface space, you can select a set with end tables that fit seamlessly between your chairs. 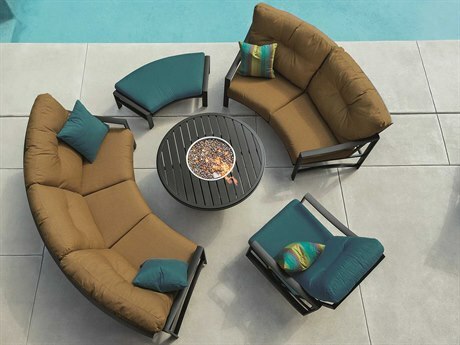 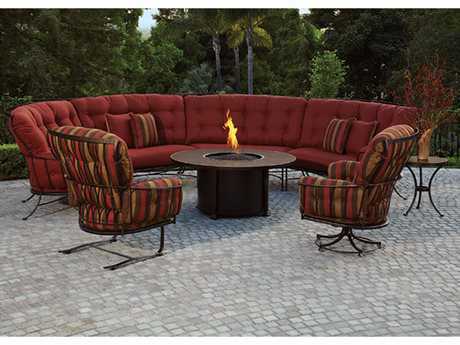 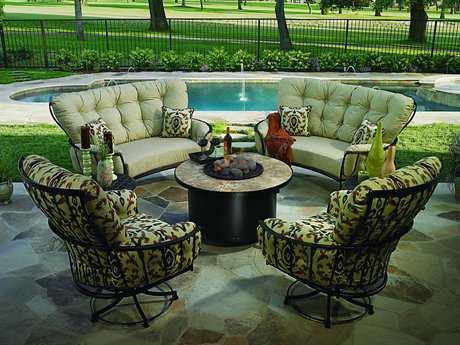 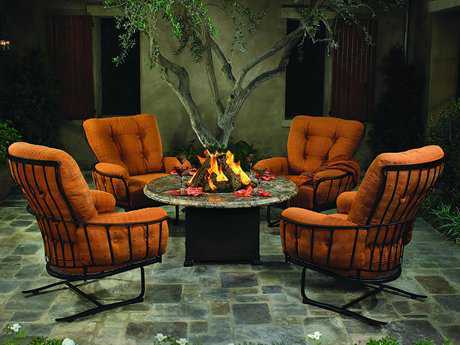 Sectional fire pit sets include ottomans that can be used to kick your feet up or as extra seating. 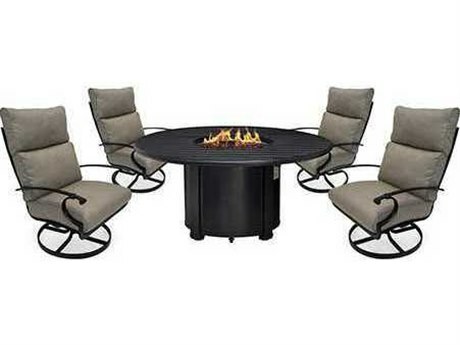 Our selection of outdoor fire pit sets is available as residential or commercial quality sectional and lounge sets. 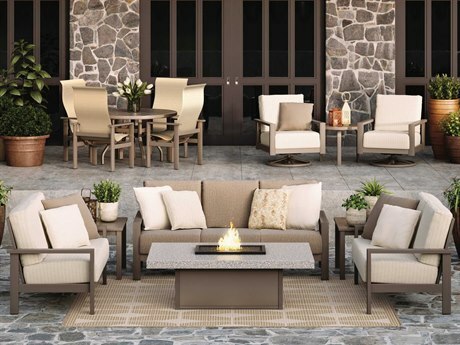 Seating is made from aluminum, cast aluminum, wicker, wrought iron, steel, or recycled plastic and you can choose from sling, cushion, and wicker chairs to find your perfect level of comfort. 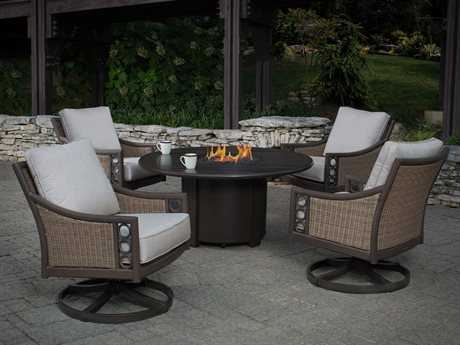 Fire pit sets are great first choices to start furnishing your patio as they can be built on with duplicate side tables or chairs or additional new pieces to add your personal touch. 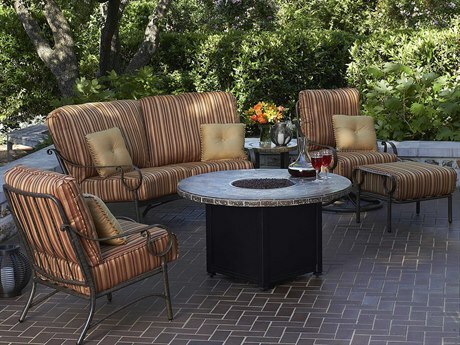 Cushions come in a multitude of fabric designs from vibrant solid colors to dozens of striped and intricately embroidered patterns. 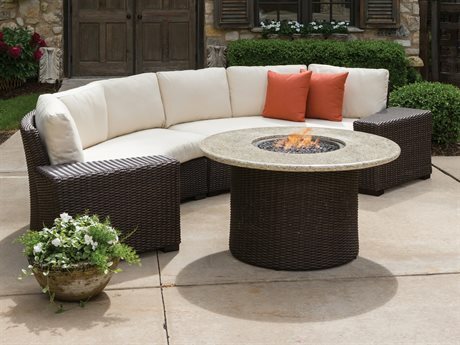 Add complementary pillows to your seating for extra comfort and decoration. 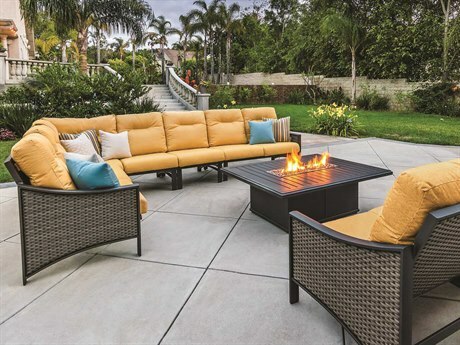 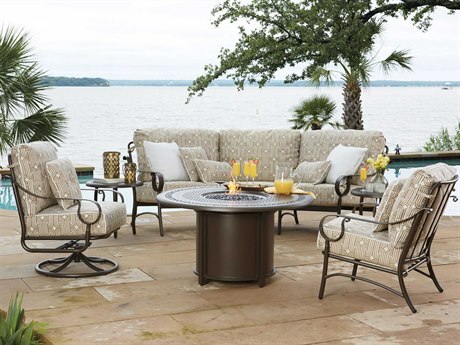 If this is your first time purchasing an outdoor fire pit set, or any other kind of patio furniture, make sure you review PatioLiving’s Outdoor Materials Buying Guide for more information.